Trying to get my husband to tell me what he wants for dinner is next to impossible. So yesterday morning when I got a Facebook notification that my husband had tagged me in a post, only to find it was recipe he was reposting, I was intrigued. And just to be clear, I replied, “Are you trying to tell me you want this for dinner?” and he responded, “Yes.” Hallelujah – at least we can communicate about dinner via Facebook. So trying to seize this rare opportunity, I went to the store, got the all the needed ingredients and made his requested dish for dinner. I must say, he was spot on with thinking this would be good, because it really, really was. 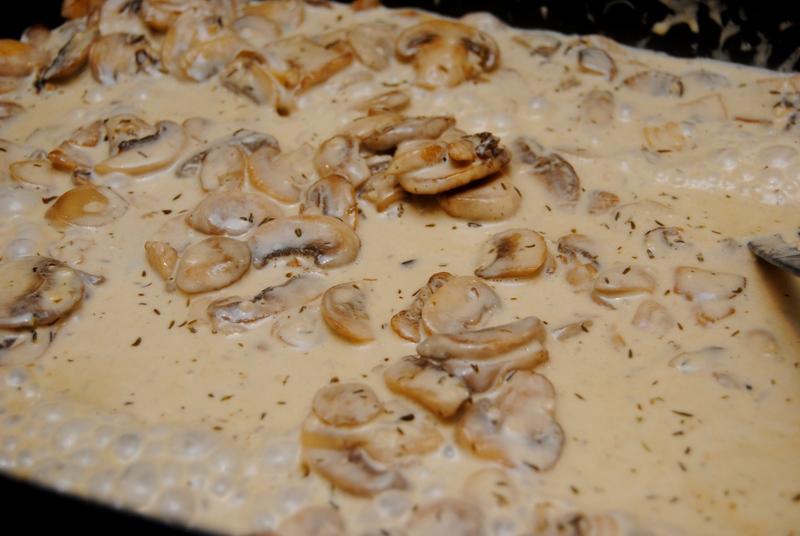 I was pretty true to the recipe, except I increased the mushroom asiago sauce by 1 1/2 (which is how I wrote the recipe below). I served this over simple buttered angel hair pasta, so I wanted enough sauce to flavor the pasta sufficiently. 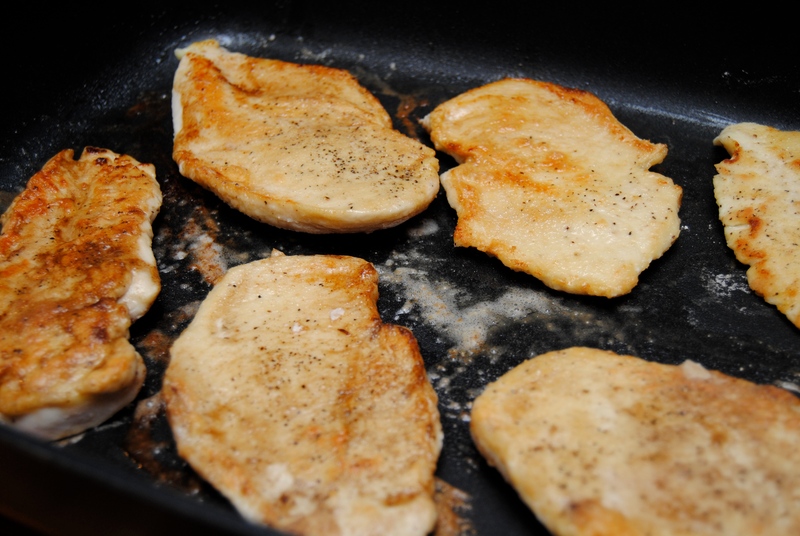 I also opted to buy chicken cutlets versus butchering a plain ole chicken breast. Yes, it was a little more expensive, but it save me time and hassle, and so for a weeknight, it was money well spent. I cooked this in an electric skillet so that I could cook all of my chicken at once – would do fine in a dutch oven as well. I will definitely make this dish again – the flavor was rich (but not too rich, thanks to the bite of the asiago), and very unique. Winner, winner, chicken dinner – thank you honey for the delicious request! 1.) 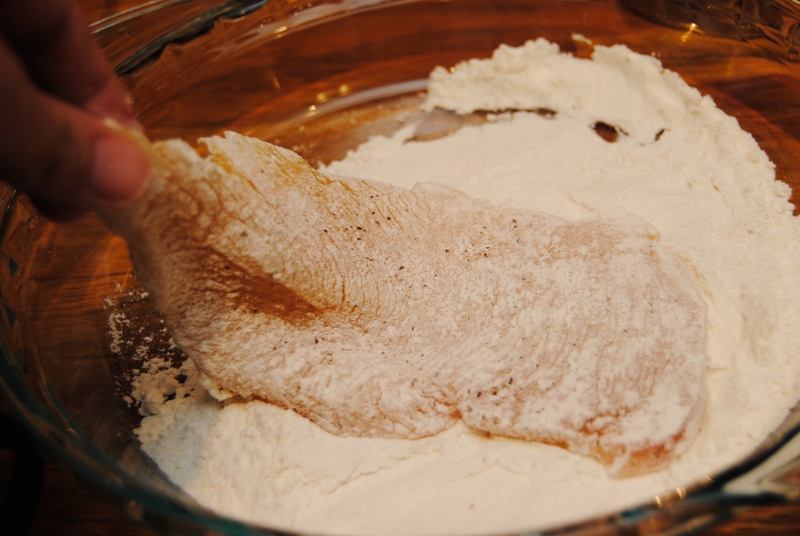 Salt and pepper each chicken cutlet and dredge both sides in flour. Heat 2 tbsp butter in an electric skillet or dutch oven over medium high heat. 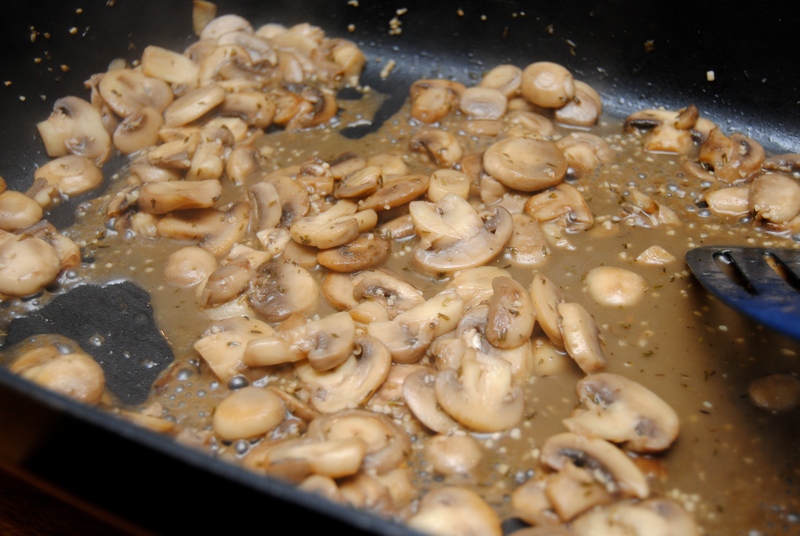 Sauté the cutlets in the butter for 4-5 minutes on one side, flip, then cook for 1 more minute. 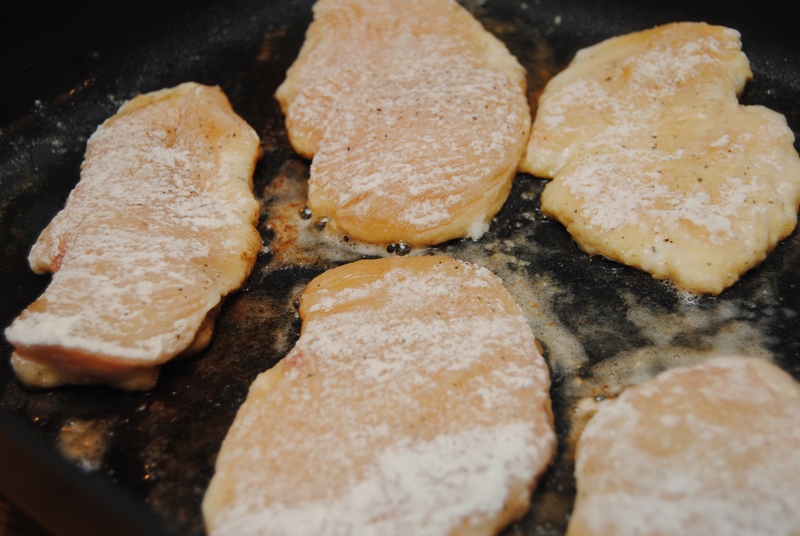 Place cooked cutlets on a plate and cover with foil. 2.) Add remaining 4 tbsp butter to skillet. 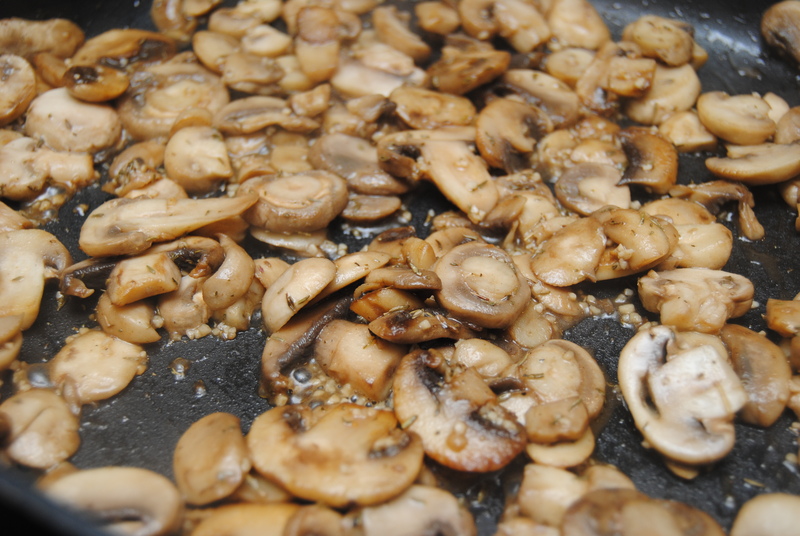 Add mushrooms and salt and sauté for about 10 minutes. Add garlic and thyme and sauté for a few minutes more. Add wine to deglaze and cook until it is nearly evaporated. Add chicken stock and simmer over medium heat until liquid is reduced by half, about 10 to 12 minutes. Reduce heat again to medium low and add heavy cream and Asiago cheese. Stir until cheese is melted and then add chicken back to pan, covering each one in the sauce. Allow the chicken to simmer for a few minutes until it is heated through. 3.) Serve over pasta or mashed potatoes. 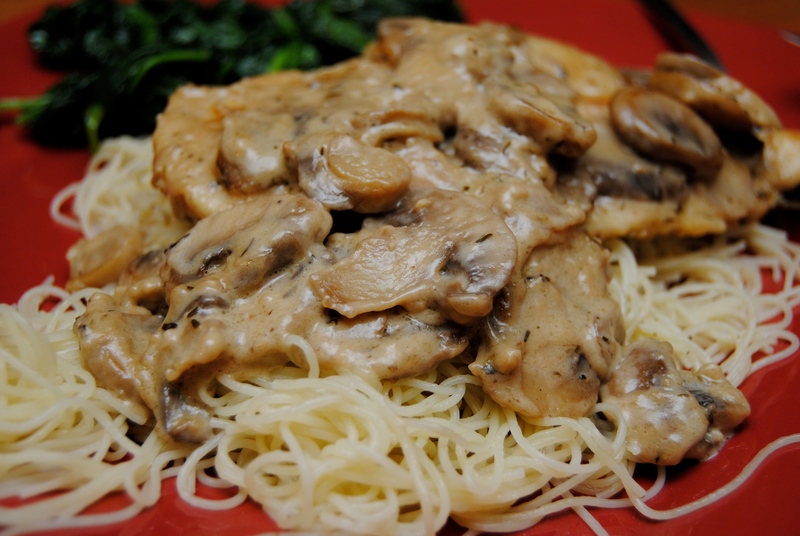 Adapted from CherylStyle’s Savory Mushroom Asiago Chicken. 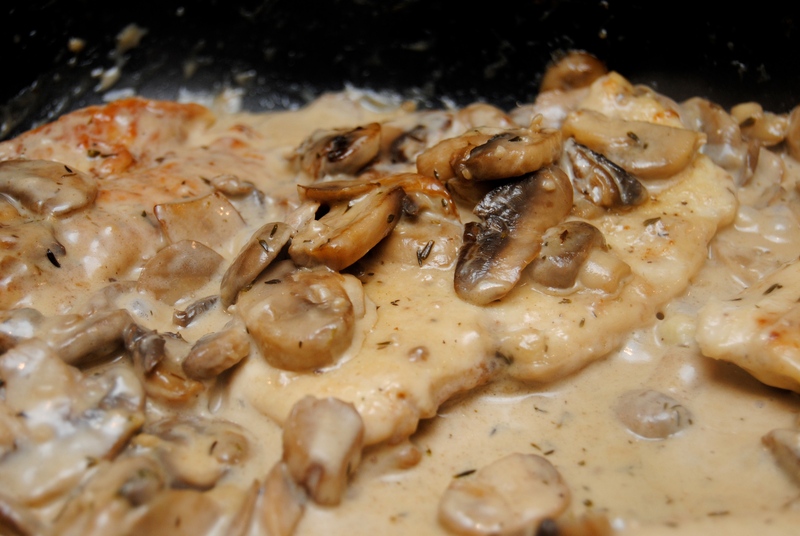 This entry was posted in Food and tagged Asiago cheese, Chicken, Chicken cutlet, Cooking, Dinner, Food, Mushrooms by biscuitsncrazy. Bookmark the permalink. This looks AMAZING and it has all my favorite ingredients. Will definitely try it. Thanks for sharing!